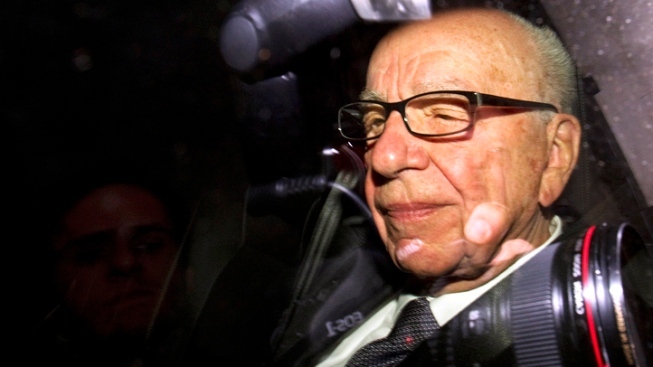 Rupert Murdoch, chief executive officer of News Corp., will be in San Francisco on Friday speaking about education. Friday the Bay Area will get its chance to really replicate the Occupy Wall Street movement. Media mogul, and Wall Street protester target, Rupert Murdochwill be in San Francisco Friday speaking at the Palace Hotel speaking about education reform. The owner of The Wall Street Journal and Fox News will be the honored guest of another favorite son of San Francisco: Jeb Bush. The Foundation for Excellence in Education, a non-profit organization run by the former governor of Florida, invited Murdoch to speak about failing schools and overcoming obstacles to make schools successful. Murdoch's talk will be just mere blocks from where the Occupy SF movement is taking placement. Occupy SF says it will begin protests outside the hotel between 4 and 6 p.m. Thursday.